Despite extraordinary advances in new drugs and biotechnology, cancer is still one of the leading causes of death worldwide. In many cases, the problem lies not with the drugs but rather the difficulty in successfully delivering them to the site of a tumour. In healthy tissue there is a regular structure of blood vessels supplying oxygen and nutrients to cells, which divide and grow at a steady rate. 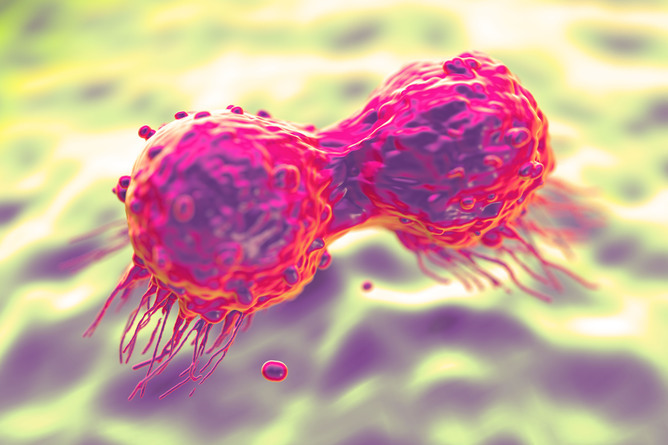 In cancerous tumours, however, cells divide and grow in an unregulated way, producing a chaotic vessel structure and regions of tissue with little or no blood supply. This means when drugs are ingested or injected into the blood stream, they don’t reach all parts of the tumour and there is a high risk of cancer recurring after treatment. On top of this, the pressure inside many tumours prevents a drug from being absorbed from the blood, meaning only a very small fraction of it is actually delivered. The rest of the drug circulates around the body and is eventually absorbed by healthy tissue, often leading to intolerable side effects. One of the major goals of the research being carried out in the Oxford Institute of Biomedical Engineering (IBME) is to develop new methods for delivering anti-cancer drugs that overcome these barriers. While engineers are perhaps more commonly thought of in the context of large construction projects, we are using precisely the same combination of applied science and problem solving. There is a formidable series of challenges to address to solve this problem. First, we need to encapsulate the drug to prevent it from interacting with healthy tissue and/or deactivating before reaching the tumour. Second, we need a way to deliver the drug to the tumour to maximise the concentration it receives. Third, we need a mechanism for releasing the drug on demand once it has built up within the tumour. Fourth, we need to ensure the released drug is evenly spread throughout the tumour. And finally, we need to be able to monitor the treatment from outside the body. Our team at the IBME has developed a range of new techniques for creating tiny particles into which we can insert drugs with a high degree of precision. And we have tried a variety of methods to make the particles release the drug. These include using materials that are sensitive to the pH change within a tumour and materials that break down upon heating or undergo a phase change (from a solid to a liquid or liquid to a gas). But one of the most versatile means of triggering drug release is by firing a beam of ultrasonic vibrations at the particles. Widely used as an imaging method, ultrasound can be used from outside the body and, unlike light or heat, can be tightly focused to produce highly localised effects. In order to produce particles that respond to ultrasound, we have to include in them a gas or a liquid that easily vaporises. When exposed to the ultrasound, the gas/liquid will undergo a rapid expansion and force the drug out of the particle. This process generates a pulsating gas or vapour bubble that has several other significant benefits for drug delivery. The motion of the bubble produced by the ultrasound field helps to drive the drug out of the blood vessels and deep into the surrounding tumour. We have shown that bubbles can push drugs up to four times deeper into tissue than they would normally diffuse, sufficient to achieve a uniform spread throughout a tumour. There is also a growing body of research that shows microbubbles and ultrasound make cancer cells more permeable to drugs, speeding up the rate at which they work and ultimately cell death. 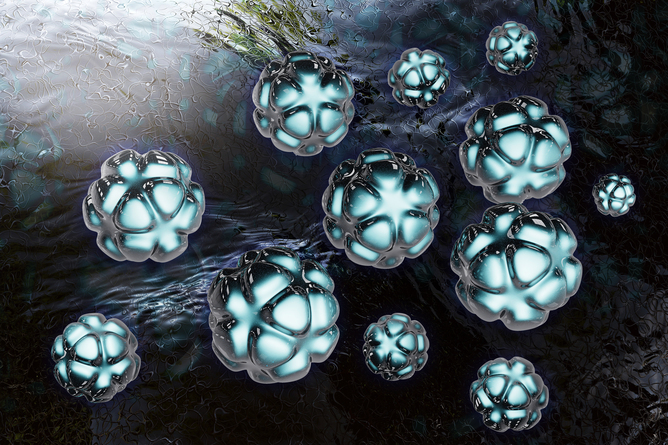 The microbubbles’ motion produces a secondary ultrasound signal that can be detected outside the body. This means the location and activity of the particles can be continuously monitored, providing real-time feedback on the progress of the treatment. Our aim over the next five years is to translate these developments into clinical use. The work will focus on improving the delivery of four classes of drug that have shown enormous potential but that currently struggle to get inside a tumour and/or have unacceptable side effects. By combining our expertise in encapsulation with the use of ultrasound and shockwaves, we hope to create more effective drugs that can be delivered straight to the location of a tumour and monitored with advanced imaging techniques. Eleanor Stride is Professor of Engineering Science at University of Oxford.